You nailed it — it’s attracting the right visitors. A blogger is in fact a Jack of all trades. For one thing, he should bury himself under the workload of an introverted writer who goes through all the steps for choosing a topic, researching and using keywords, and writing and optimizing articles. For another, he should have the communication skills of an extroverted influencer to shout out and spread the word to the right people. In content marketing, the first is called content curation and the second content amplification. Before we dive into the tactics to amplify your content for more visits and links, I need to set some things straight about content amplification. Content amplification is defined as a set of practices for expanding the reach of your content. The various tools and strategies for content amplification include influencer marketing, promoted content on social media, SEO, PPC ads (hey, we have a comprehensive guide on all of these), being active on niche communities, content discovery platforms, etc. What to Expect from Content Amplification? How should we know that we’re doing content amplification right? What should we expect from our content? Steven Rayson does a great job explaining how to set right goals for content amplification. 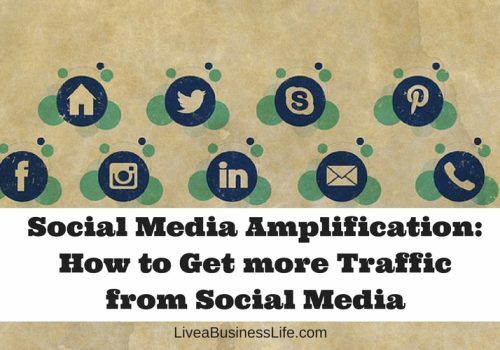 From his perspective, the ultimate goal of content amplification is not to increase the number of shares but to “drive traffic, build authority, and help conversions”. He brings up the example of a blog post, the ultimate social media marketers quiz, which has received 8,000 shares. In terms of the number of shares, this might mean success. Although this piece of content has received 5,500 views (less than the number of its shares), the number of links to it is actually zero. So in terms of establishing the website’s authority and driving referral traffic, the ultimate social media marketers quiz is a failure. On the contrary, a blog post by Mark Schaefer on content shock is absolutely a great hit. It has received fewer shares than the quiz but gained backlinks from 900 individual domains thus establishing the website’s authority and getting lots of referral traffic. The bottom-line is the real success of your content is not solely dependent on how many social shares it gets (although it’s a great signal of success), it also depends on how it establishes your position as an authority in your niche. 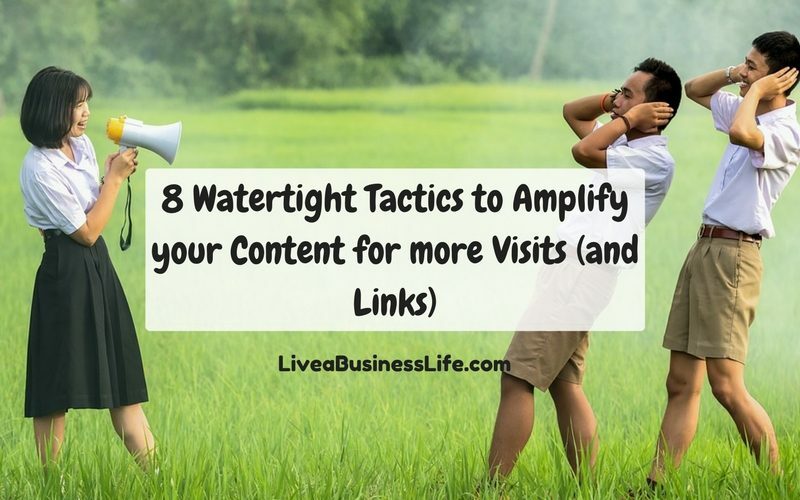 Here are 8 tactics for amplifying your content to get more visits and back links. To be honest, even the most ever-green content on your site is going to be forgotten some day. They might be shared thousands of times and mentioned on many blogs but as time goes on and new content get replaced with yours, your content’s reach will dwindle. Researching and targeting some keywords in your article can guarantee that your content will be found on Google for a long time. 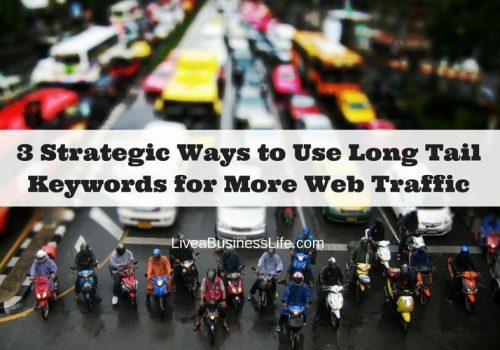 If you intend to use keyword optimization before you write a blog post, I have a guide on the only possible ways to use long tail keywords in your content for more web traffic — check it out. If you’re trying to optimize your current articles, apart from using the typical ways of coming up with keyword ideas such as using Google’s suggestions or related searches, keyword tools, and searching social networking websites, you can take advantage of Google search console to find out what keywords bring visitors to your blog most. You can then optimize your posts to target the exact keywords that you already rank for. 1.Set up your Google Search Console and give it some time (a week or two maybe) to gather data on your site. 2. Open it and navigate to the left hand side menu and select “search traffic” then “search analytics” 3. In the search analytics page, tick all the options in the filter box to have a complete view on clicks, impressions, CTR, and positions. 4. From the filter box select “Pages” and click “Reset (top pages)”. You will see a list of your pages with their analytics. 5. Select a page. Then click on “Queries” from the filter box to see the keywords your page ranks for, as well as the number of clicks, impressions, CTR, and the average position for each keyword. 6. Decide which keywords have better performance (based on their impressions or CTR maybe) and optimize your selected page for those keywords. For example, the highest number of impressions for my guide on digital marketing belongs to the keyword “SERP rank checker”. 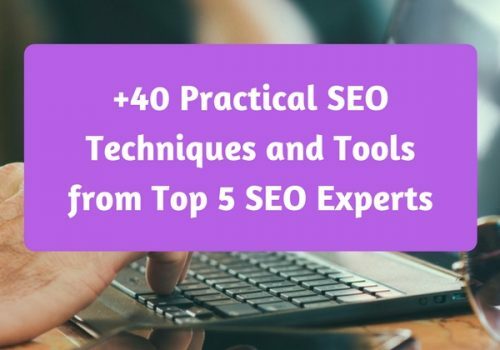 I might want to expand the topic in my guide and make it more keyword optimized and useful, or maybe add more tools and mini-guides on this topic. 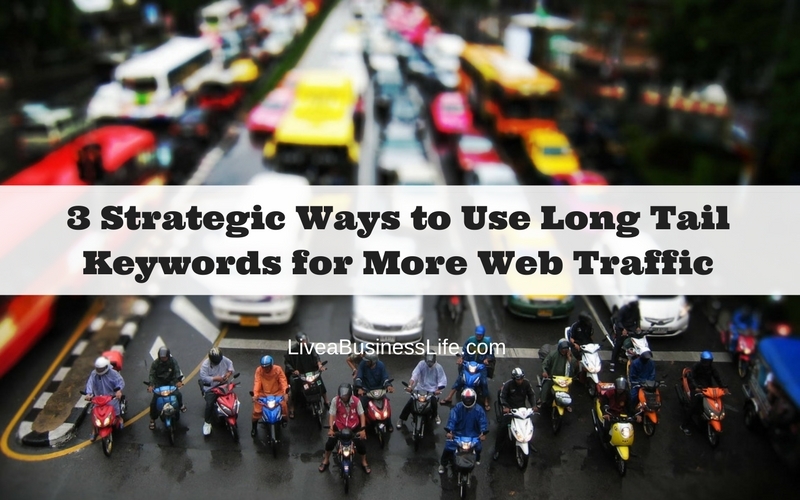 It’s also a great idea to write new articles on your best performing keywords to drive traffic from them. One way to amplify your content is link building. The number and quality of the websites that link back to your pages are great indicators of your authority. Higher authority in turn signals a better search position. Plus backlinks drive good referral traffic to your blog. However, unless you’re an established brand with high authority, link building is literally the most excruciating part of SEO and content amplification. Most of the link builders use the outreach methods to build links for their clients. The process involves offering (through email for example) a piece of link-worthy content to replace a website’s broken or outdated links. Although these methods might seem most accessible to the newbie blogs, they’re already taken to the extreme. And as Rand Fishkin points out, the greatest of the outreach link builders at most have 5 to 10 percent success rate. This means that unless you spend a lot of time and money on outreach link building, you won’t be successful. The natural link building process happens when bloggers find your content useful and link to them to support their arguments without being asked to. What you can do to accelerate this process is providing proof (case studies, examples, statistics, analysis, endorsement, etc) in your content for a blogger’s argument and then inform them about your content’s existence (in the comments section maybe because comments are never unnoticed). Case studies and examples work best here. It happens that bloggers need (more) case studies in their articles as proof for their arguments. The best way to take advantage of this situation is to produce relevant case studies on your blog. Often times success stories are what bloggers are looking for and people are actually willing to participate in. As an example, let’s say a high authority blog writes a blog post on “Ways that Micro-influencers Outperform Typical Influencers”. Now, this is a big claim that needs to be tested and approved. What the writer of such a blog post needs is actually lots of examples and case studies of successful micro-influencer marketing. This situation provides a great opportunity for you to sift through the profiles of the micro-influencers you know, find some products or services they are promoting, and then contact the product/service owner for a description of their micro-influencer marketing and its results. You can produce an individual blog post featuring your case study, or simply mention it in a related blog post you’ve written or intend to write. If done right, your example/case study attracts lots of backlinks (because bloggers LOVE case studies and examples), but to expand the reach of your content you can mention it in a comment below a relevant blog post or even offer it to bloggers. If you’re eager enough to build links using outreach methods, no one should stop you (and in fact outreach methods help sometimes). But you need to know that the secret sauce to success in these methods is forming a good connection with bloggers/editors. Cold calling has at best a success rate of 5 to 10% in the outreach link building methods. Follow them on social media and engage with their posts (like, comment, and share). Start conversations with them and ask their opinions about different things. They love to be established as authorities in their niche. Mention them in your blog posts and tag them when sharing your posts on social media. Form a long lasting friendship with them, not just for the sake of link building or guest posting but because this is the only way to survive in the digital world. The blogger/editor is interested and frequently uses the type of content you’re offering. You found a broken link in his blog and are willing to offer your similar piece of content to be replaced with the broken one. You’re confident that you have produced a better content than the one linked to in a blog. So you reach out to the blogger or editor to say your better content is worth being replaced with the old one. There are different outreach link building methods — you have probably heard of Brian Dean’s Skyscraper technique. If not take some time to check it out on his blog. This method involves cold calling and as Brian himself confesses, he has got 11% success rate (and that way back in 2013 — what do you think of it now?). There is also another procedure for outreach link building. It involves identifying broken or dead links on a website and then offering a replacement from your website. Open Brokenlinkchecker and enter a domain name to be analyzed. It will show you the pages that contain links with 404 error. Click on the URL button beside each page to be directed to it. 3. Install the Broken Link Checker extension for Chrome. 4. Run the extension and find the broken links. 5. Check if you can find the archived version of the broken link on Archive.org. Just enter the broken link in the search box and select “search archived web sites”. Then choose a restoration date from its calendar to see the archived version of the broken link. 6. Even if you cannot find an archived version of the broken link, you can still guess from the context and produce a similar page. 7. Offer your page to be replaced with the broken link. Although Google has got the most market share among search engines (79.45% according to Netmarketshare), others have still got a large number of daily searches. 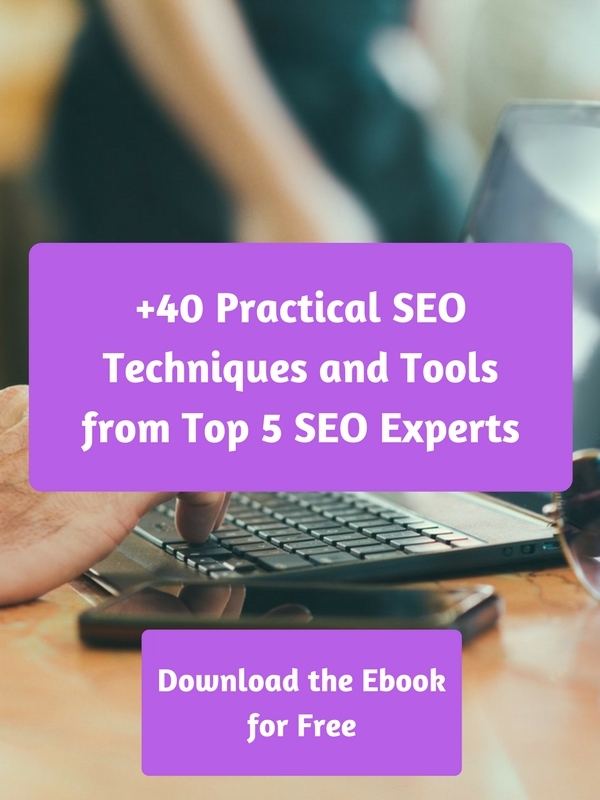 You can’t simply lose such great sources of web traffic, especially because your efforts to improve your ranking on Google will typically result in better rankings on these search engines. 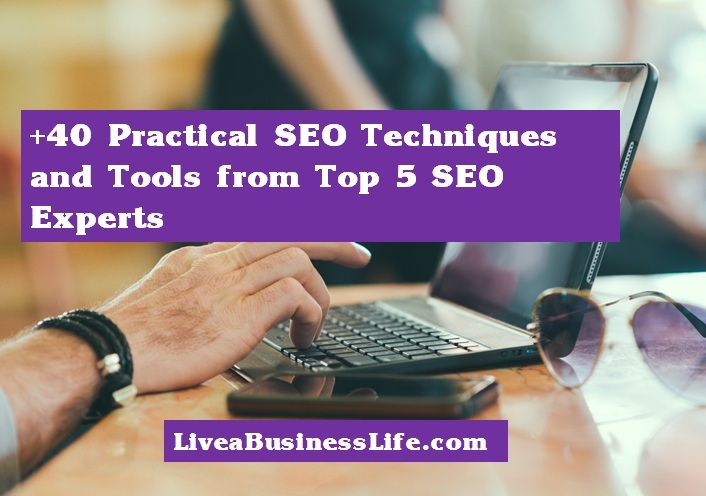 In Bing, as the second most used search engine, you have access to a set of webmaster tools (just like Google) that provide you with full control on your blog’s functioning. Among the many features of Bing Webmaster Tools, I can name the possibility of adding and verifying many websites, submitting sitemaps and URLs, controlling crawling settings, having access to the SEO reports of various pages, SEO analyzer, keyword research tool, security reports, etc. You will also receive 100$ worth of advertising on Bing for free if you sign up for its webmaster tools. 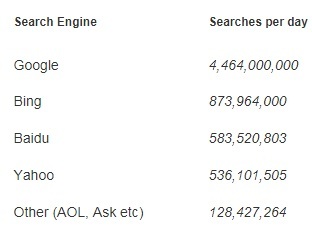 It’s also interesting to know that since 2010, Yahoo search engine is being powered by Bing, meaning that the results on both these search engines are nearly identical — so an improvement in Bing means an improvement in Yahoo. News aggregators like Flipboad, News360, discovery engines like Stumbleupon, feed readers like Feedly or Bloglovin, and niche communities like inbound.org (for digital marketers) and Quora are good places to submit your blog or be active in. 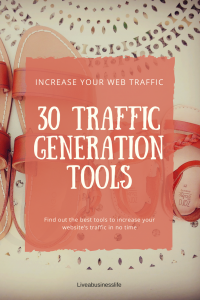 It takes much time and effort to reap the benefits of such platforms but they could send a good amount of traffic to your blog in the long run if you pay attention to them consistently. In Flipboard, you can make your own magazines (just like boards on Pinterest), and then start saving articles in them. You should then try and get likes and followers for your profile to gain exposure. News360 has a publishers program where you can submit your blog’s URL and sitemap for consideration. Once confirmed, you can log into your account and see your analytics. Feedly has a publishers program too. You can get in touch with them through email, get your follow button to be placed on your site, or fill in a form to be featured for some keywords. Bloglovin is a popular feed reader that could expose your content to lots of monthly readers. You can easily sign-up, and claim your blog by copying a snippet in a new post on your blog. Niche communities are also great for distributing your content. Your posts and comments could establish you as an authority in your niche. Matthew Woodward has a great experience with being active on various forums. He explains, in a long blog post, that he started his blog to help people and “share . . . [his] passion with the world”. So he decided to literally find out people’s problems in the field of SEO and digital marketing by searching the forums. The recurrent questions that people asked became the foundation of his content plan. 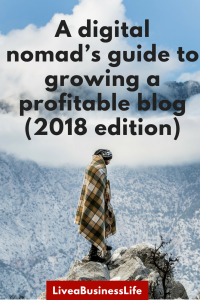 He kept researching the niche forums and making a list of common questions that his target audience kept asking, and promoted his blog posts and videos as the answers to those questions. 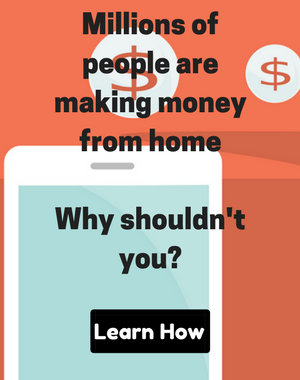 Using this method, he claims to have received “6,643 unique visitors and $5,826.80 in less than 2 months without spending a penny”. How to find niche forums? You can search Google by typing in your niche/topic + forum or community. For example one of the greatest digital marketing communities, inbound.org, is simply found by searching “inbound marketing community”. Quora is a famous Q&A platform where people ask and answer questions in various topics. It’s a great place to learn and a great place to amplify your content by answering people’s questions and linking to your content. It’s crazy how some great marketers still get involved in conversations in Quora. Neil Patel for instance always answers the most comprehensive way possible and his answers get quite a lot of upvotes. This answer is one of his blog posts and it’s been viewed more than 54 thousand times. So why is that that great bloggers and marketers show up in Quora and take so much time to answer questions? The answer is just like any other self publishing platforms such as Medium or LinkedIn’s Pulse, Quora has lots of backlinks from high authority blogs, lots of traffic, and lots of social shares. The inevitable consequence is “Quora ranks well in organic results especially for the question keywords”. 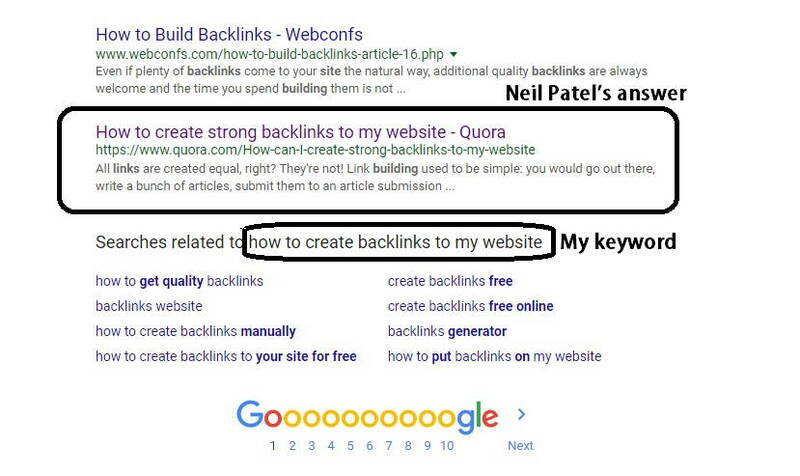 If you do a quick search for the keywords like “how to create backlinks to my website” “get strong backlinks” or even “create backlinks”, you’ll see Neil Patel’s answer on Quora in the first or the second page of the SERPs. 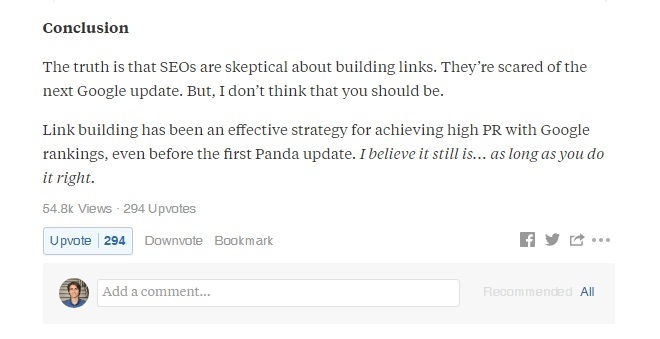 This means lots of exposure for Neil Patel and lots of clicks to the links he has embedded in his Quora answer. Influencers need content to share and they probably have a social media strategy in place. So a timely message from you containing a high quality and relevant piece of content might make them happy. Personally, I think the reason influencers need your content is kind of simple: people follow influencers for their unique knowledge or offers — influencers look for unique knowledge or offers — if you provide them with what they’re looking for, they will share it with their followers — you will get exposure. It might seem simple but getting influencers to trust you is not that easy. Great content and good communication skills are two important factors here. Find people with a large number of followers and good engagement in your niche. There are some ways to do this: You can search through your followers or connections to find the ones with lots of followers and good engagement. You can follow some hashtags and find the people who use them most. Or you can use some some influencer marketing tools such as Buzzsumo, and Klear. See what kind of content they’re sharing on a regular basis. Form meaningful conversations with them (many of them won’t reply at all which is the sign that they don’t engage with their followers), and help them establish their authority by mentioning them and sharing their content. If possible try to include a quote from them in your posts — this will increase the chance they will share your content. Reach to them via Twitter or LinkedIn messaging and tell them about your content. Ask them their opinion about your piece and whether they like it or not. Don’t push and don’t get disappointed easily — let them decide if your content is valuable enough to be shared or not. One of the strongest tactics for social media amplification is sharing various forms of titles and descriptions on social media. It’s a great way to add more social engagement to your posts (because it has a positive impact on SEO) and finding the “sweet spot” where your content performs best. 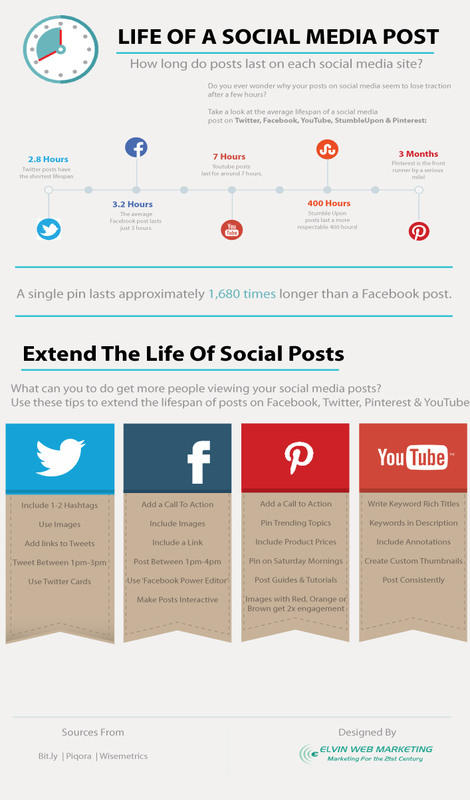 This infographic from Business2Community shows the lifespan of the posts on each social media platform. As an example, the lifespan of a tweet seems to be 2.8 hours after which its engagement dramatically falls. Now worries though, by reshaping the title and description of the post and/or refurbishing the body of your content, you can keep sharing your post and drive traffic to it without being considered spammy by the social media algorithms. Split test your article headlines to find out the ones with the best performance. To do this consider various forms of titles for a blog post — some headline types include questions, statistics, “best” headlines, “make my life easier” headlines, “it’s a race headlines”, etc. — and then share them on your social media accounts to see which one performs best. You can also use the WordPress plugin, “Title Experiments Free” to split test your headlines. 2. Edit some of your old blog posts, update the idea, links, etc. or add some new info, and then reshare them on social media. 3. Make Tweetable messages in your content using Better Click to Tweet plugin. The plugin enables you to add some text boxes in the body of your content with a Tweet button and a link to your page. When people click on the tweet button they can share the text on Twitter. If you want real results fast, you have to pay your way through. This is a fact we have to admit: Social media platforms have limited people’s organic reach on social media so when you try to amplify your content by publishing a post on social media only a fraction of your followers get to see it. Another way to amplify your content on social media is using social media ads. To spend years of hard work on amassing thousands of followers just to reach one or two hundred of them when you publish something. Or set up your page right now, publish your first post and pay $3 to reach 1300 people. At first glance, it might seem a bit shocking for businesses. Facebook, their best BBF, has turned against them and asks for money to continue showing its friendly face. But on the second thought, this could be a great opportunity. There is no longer the problem of reaching people, traffic and stuff. And you can stop worrying about sales once you have a solid strategy to turn your paid reach into profit. You can then focus more on creating great content, laying down your sales funnel strategy, improving your customer engagement, or expanding the scope and number of your products or services. 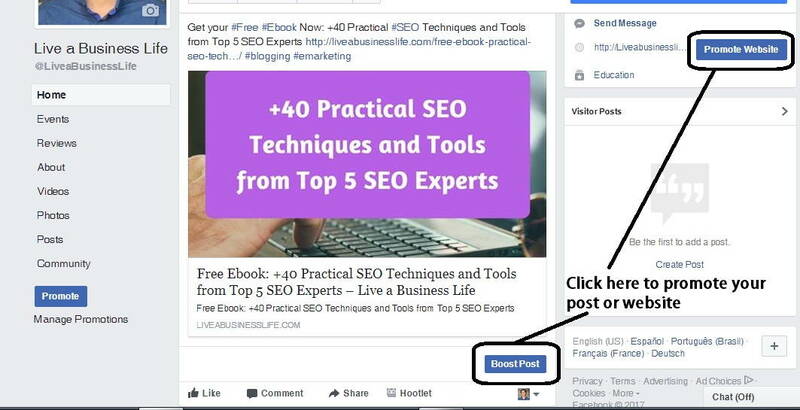 In order to boost a post on Facebook, simply click on the “Boost Post” button below each post, then set your audience, budget, and duration. It’s the same with Adwords and content amplification platforms such as Outbrain and Taboola. 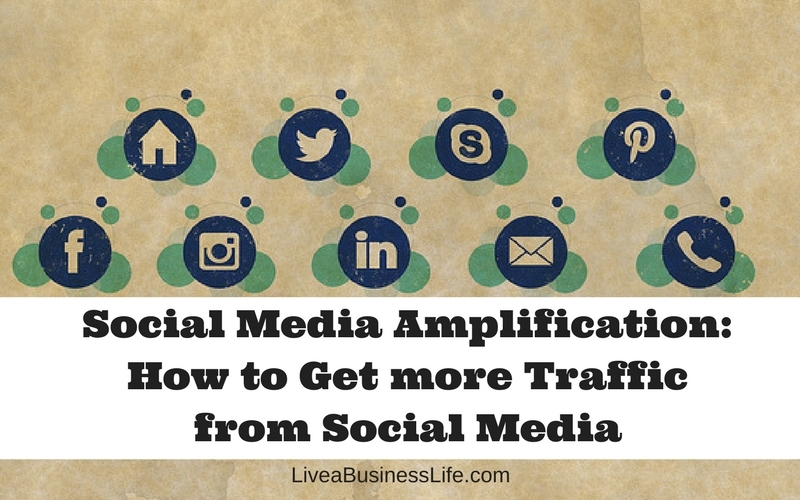 You leave content amplification to the platforms and focus more on monetizing the traffic you get from them. Many of us know from experience that it isn’t easy to have lots of visitors and get backlinks every time we publish a post. What we could do to deal with this problem is two-fold: producing valuable content, and amplifying them right. In this Whiteboard Friday video, Rand Fishkin talks about “how to create 10x content” — I strongly recommend watching it. 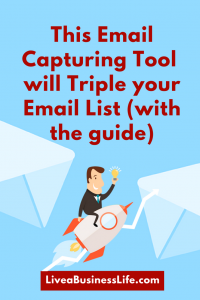 And you have just gone through 8 tested tactics to amplify your great content and get visitors and links to your website. Do your two-fold mission right, and you’ll be one of the most successful bloggers or content marketers in your niche.